Born in the 90’s, Pride group takes the privilege to be the leader in developing state of the art residential and commercial spaces across Mumbai, Pune and Bangalore. The bold contemporary designs with minutest detailing and uncompromised engineering standards have enabled the group in earning the trust and reliability that it enjoys today. The group has also ventured into hospitality under the brand name of Pride Group of Hotels setting up new milestones in the hospitality field as well. 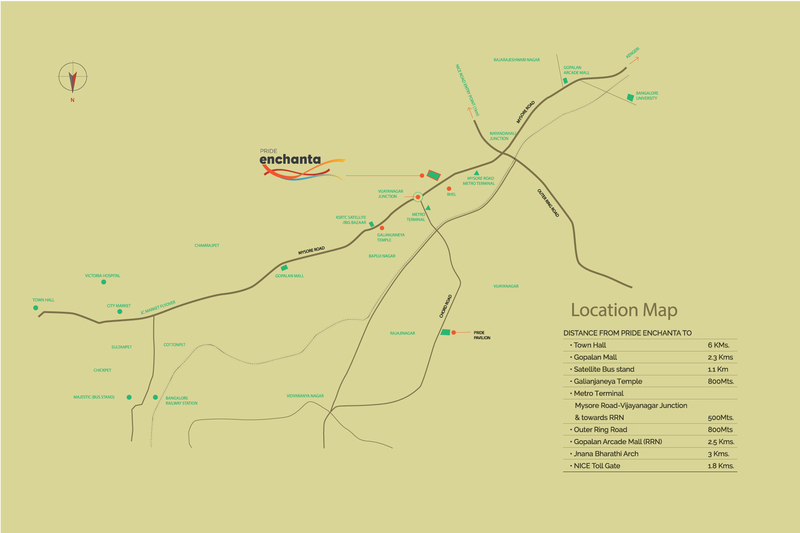 Pride Enchanta is located in Vijaynagar on Mysore Road, in the southern part of the buzzing city of Bangalore. 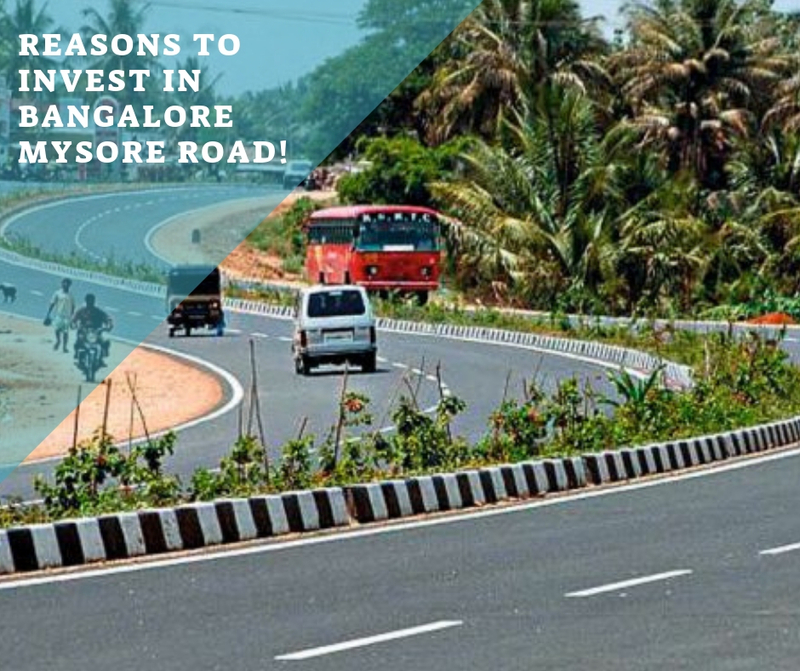 Located right opposite the Nayandahalli Metro Station, the project is excellently connected and is in close proximity of Town hall, Satellite Bus Stand and Outer Ring Road. The affordable apartments are provided with Jaguar and hardware or equivalent bath fittings. The main entrance door and bedroom doors are made up of the wooden frame with Veneer finish with melamine Polish. The bathroom doors are provided with veneer finish on one side and laminate on the internal side. The living room and bedrooms are floored with vitrified tiles while the toilets, kitchen and balconies are provided with antiskid ceramic vitrified tiles. The lift lobby is provided with vitrified tiles while the staircase is provided with granite treads and plastered risers. The kitchen is provided with granite platform and SS sink with drain board. Each wing is provided with common solar water heater with a capacity of 800 litres of hot water made available in all the bathrooms. The balconies are provided with powder coated 3 track aluminium sliding door with mosquito mesh. Each wing hastwo passenger lifts of 8 and 13 person capacities. Pride Enchanta Bangalore provides excellentamenities, which includes a kid's play area, swimming pool with Jacuzzi and baby pool, landscaped garden with jogging track, clubhouse with gymnasium and indoor games room, and much more. The complex has a multi-purpose play court, amphitheatre,hall to host parties and gatherings, senior citizens plaza with sitting arena, UG sump tank and sewage treatment plant for landscaping, and organic waste converter. The entrance gate is secured with CCTV camera and security cabin. 24X7 water and power backup are provided in all the wings. The 430 units of 2 and 3 BHK scientifically crafted homes are near completion and will be soon available to move in. Spread in an area of 4.5 acres, the semi furnished flats stretch up to 14 floors in each wings standing tall and beautiful beginning from Rs.73.50 lakhs onwards. The Pride Enchanta price is very competitive affordable and suits your budget. 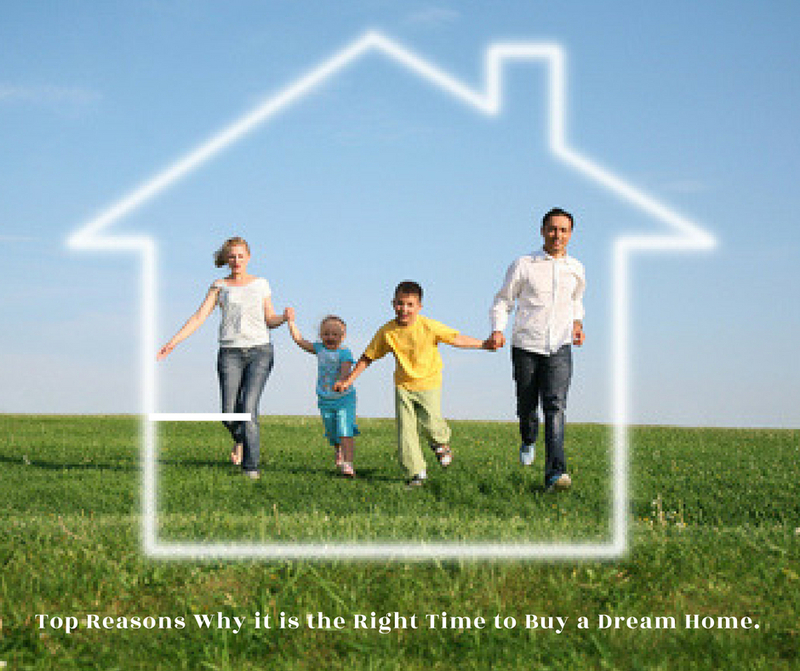 If you dream to win your home in South Bangalore then don’t lose this opportunity. The scheme is near completion and will be soon available to move in. Come and experience the luxury at Pride Enchanta. The Pride Group is recognised as a leader in the real-estate industry for their residential and commercial developments. They have worked on outstanding projects across the cities of Pune, Mumbai and Bangalore. Their keen eye for detail work and reliable constructions have earned them trust among their patrons. Working on contemporary innovative designs they have created landmarks and helped reshape the realty industry. Their excellent engineering standards and uncompromised principles have helped them strive beyond their commitments. The group permeated the hospitality segment and started an extensive chain of the Pride Group of Hotels that have earned them a name in the hospitality segment. Their motto is: Building Tomorrow Today and they believe in excellence.